Kendra Kormann graduated from the Model College of Hair Design in St. Cloud, MN on Thursday, May 16 and is certified by the State of Minnesota. The Model College of Hair Design is a private Nationally Accredited Cosmetology College that provides a state-of-the-art beauty school and advanced training, dedicated to student success by providing quality education, enriches lives in a creative and inspiring environment and prepares the graduate for licensure and pathway to career success. Kendra accepted a position with Day Lily Salon and Spa in St. Cloud, MN. Southwest Minnesota State University (Marshall, Minn.) students have been honored for achievement during the 2018 spring semester of study. There are two Honors categories for the Dean’s List. An undergraduate student who completes 12 or more A-F graded credits and achieves a grade-point-average of 3.5 or higher earns Honors. If a 4.0 grade-point-average is achieved, the student earns High Honors. Students have been named to the spring semester 2018 Dean’s List and Chancellor’s List at the University of Minnesota Crookston. The University of South Dakota has announced its Spring 2018 Dean’s List. Students named to the Dean’s List have achieved a grade point average of 3.5 or better for the courses they took in the semester. South Dakota State University student Desirae Hertling is receiving the Brookings Wildlife Federation Scholarship this upcoming academic year. Hertling, daughter of John and Deb Hertling of New Ulm, Minnesota, is pursuing majors in wildlife and fisheries sciences and natural resource law enforcement. 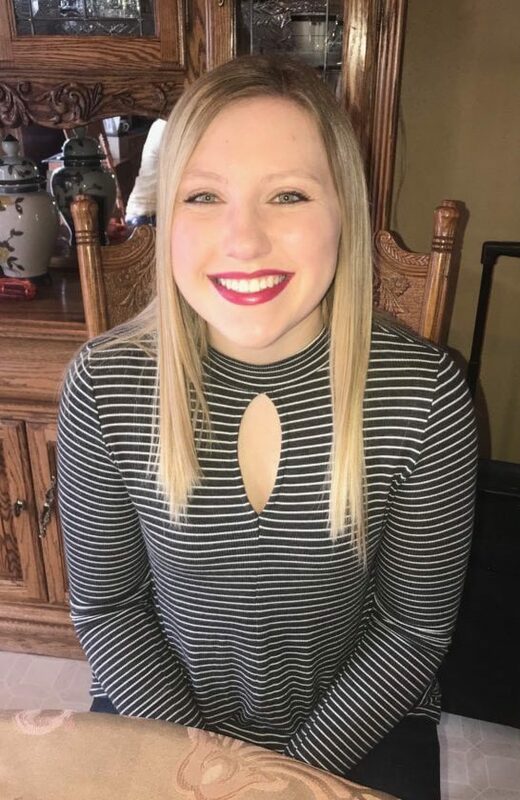 A 2017 New Ulm Public High School graduate, she is the vice president of the SDSU Wildlife and Fisheries Conservation Club, treasurer of the National Society of Collegiate Scholars Club and a member of the American Fisheries Society Student sub-unit. The University of Minnesota Duluth (UMD) has announced its Dean’s List for Spring Semester 2018. Students on the Dean’s List have achieved a grade point average of 3.5 or higher. The University of Wisconsin-Superior has named Alexa Weiss of Sleepy Eye to the Dean’s List for academic achievement during the Spring 2018 semester. To be named to the Dean’s List, students must have completed 12 degree-seeking semester credits and achieved at least a 3.50 grade point average (on a 4.0 scale). Students were named to Wisconsin Lutheran College’s Dean’s List for the spring 2018 semester. To be eligible for Dean’s List, a student must carry a semester GPA of 3.6 or higher. Ann Schmidt of Arlington, a senior at Wisconsin Lutheran College. Micah Schoer of Wabasso, a sophomore at Wisconsin Lutheran College. Wisconsin Lutheran College (WLC) is an independent Christian college grounded in the liberal arts and located on the border of Milwaukee and Wauwatosa.